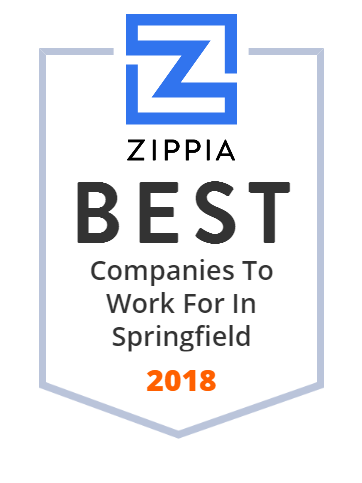 We hand-curated a list of the best companies to work for headquartered in and around Springfield, OH using data on salaries, company financial health, and employee diversity. St. Teresa Catholic Church is one of four Catholic parishes in Springfield, Ohio. Over 1000 families currently attend St. Teresa Catholic Church and the number is still growing. The church has Liturgical Ministries, Music Ministry, Hispanic Ministry, Youth Ministry, an adult choir, etc. St. Teresa Church was established and built in 1931 and is currently led by pastor John MacQuarrie. The church also provides religious education for adults and children. Since its establishment in 2001, Tinker Omega has been designing and manufacturing foundry equipment. Its line of equipment covers all of clients' no-bake needs; from bringing sand and resin together, taking them apart, etc. The equipment by Tinker Omega is used by metal casting facilities throughout the USA, Canada, Mexico and portions of South America. The company's manufacturing operations are located in Springfield, Ohio, USA, and its sister company, Omega Foundry Machinery, is located in Peterborough, UK. K. WM. BEACH MANUFACTURING CO.
K Wm Beach Manufacturing Co., Inc., founded in 1939, is a family owned and operated company that provides customized die cutting services, automotive interior trim components, and subassemblies for automotive and motorcycle manufacturers. The company received numerous awards and was also named to the City of Springfield's top 50 Employer list. By combining its years of professional experience with state of the art equipment, K Wm Beach Manufacturing provides high quality products that meet the needs of every client. For over 30 years, Greater Ohio Eye Surgeons has been serving the ophthalmic needs of residents in Ohio. Its specialists provide a wide array of services, from cornea transplantation, cataract surgery to glaucoma procedures, diabetic care or Lasik. Greater Ohio Eye Surgeons has locations in Springfield, Urbana, London and Beavercreek. All of its 4 physicians received their training at the finest academic institutions in ophthalmic medicine. TK Welding is a welding and machining company that specializes in welding, fabrication, machining, brake forming, CNC milling, CNC plasma cutting, etc. It offers welding of steel, aluminum, and stainless steel for the residential, commercial, and industrial clients. It also manufactures custom railings of all types, fences, chutes, and hitches. Based in Springfield, OH, TK Welding aims to serve its community and provide excellent customer service. Clark County Public Library serves the intellectual and recreational needs of the residents of Ohio. The library provides free and equal access to materials, information and programs, and friendly and excellent service in a safe environment. The library has branches in Enon, Charleston, and Springfield, OH. The Clark County Public Library's mission is to remain an essential community asset that encourages diverse thinking, literacy and life-long learning. Eagle Tool & Machine, a subsidiary of Heroux-Devtek Inc., manufactures Original Equipment Manufacturer (OEM) and aftermarket complex landing gear components, such as cylinders, trunnions, collars, spindles, braces, axles, and actuators for the aerospace and industrial markets in the United States. The company was founded in 1939 and is based in Springfield, Ohio. Benjamin Steel is recognized as an industry leader in supply chain solutions for steel products and services. The company offers a full range of carbon-based steel products, including plate, sheet, bar, structurals, tubing, pipe, expanded metal, also saw cutting, shearing, plasma and oxy-fuel burning, and 3D rotary laser cutting, etc. Founded in 1935 by Italian immigrant Dominick Demana, Benjamin Steel has grown to 4 facilities in Dayton, Mansfield, Lima, and Springfield, and over 150 employees. The Ohio Masonic Home takes care of the retirement living needs of seniors. Its professional staff in retirement campuses in Springfield, Waterville and Medina, OH, provide assisted living services, skilled nursing or rehabilitation services for the elderly over 55 years old, so that they could age respectfully. Its Ohio Masonic Home Resource Center provides in-home services for those who want to remain in their homes. The goal of The Ohio Masonic Home is to help seniors maintain an independent lifestyle without worrying about housing upkeep, maintenance and repair. Oesterlen-Services For Youth is a mental health treatment and social services agency that provides residential mental health treatment, foster care, outpatient counseling, in-home programs, and in-school programs to youth and families. It serves approximately 1,000 children and their families annually. The company's mission is to improve the mental, social, physical and spiritual wellbeing of children and youth. Oesterlen-Services For Youth has opened its doors in 1903 in Springfield, OH. Pentaflex, Inc. is a contract manufacturer of metal stampings and assemblies located in Springfield, Ohio. It also offers services such as welding, machining, parts washing and the assembly of purchased components. Its clients come from the agriculture, automotive, medical, off-road, energy, and other industries. Founded in 1972 in Springfield, OH, Pentaflex continues to offer its clients the best value, qualified service and engineering support. Established in the late 1800 's in Springfield, OH, Rollins 3PL has been delivering logistic solutions ever since. Its core services include Distribution, Transportation, Warehousing, Packaging, 3PL and 4PL Services and MIL-Spec Packaging. Despite any challenges, Rollins 3PL is determined to deliver products from point A to point B, whether by sea, land or air. The company has multi-state locations that ensure efficiency and fast services. Our surface treatment solution company has been providing the best in coating and heat treatment services in North America for over 30 years. Contact us today to get proven results!